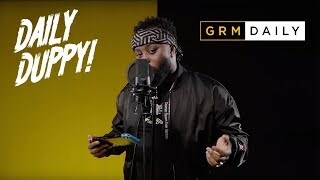 Nottingham based talent, Jaymal Davis, is steady making a strong name for himself across the UK scene, and as he embarks on what he has down to be a game changing year, the talented creative is back with a brand new single which sees him collaborate with two of the Grime scenes biggest names. Inna Flash is the title of the new single, and we see Jaymal deliver some infectious vocals and melodies, while Manga Saint Hilare, and Grim Sickers come through with some fire verses to apply the finishing touches to this one. Huge props have to be sent out to the team at Saunders Multi Media for putting together a dope visual which is already being well received.